: Cellulose, Serrateric™, modified cellulose (vegetarian capsule). : Take 1 to 3 capsules daily, away from food, or as recommended by a nutritionally informed physician. Serrateric™ is a trademark of Deerland Enzymes, Inc.
non-pathogenic Serratiabacteria species strain E15 by Japanese researchers in 1966.1 Proteolytic enzymes, as the term implies, break down proteins. Serratia E15 was discovered in the Japanese silkworm, which harnesses serrapeptase enzyme activity to break down its cocoon walls.1,2 Each vegetarian capsule of Best Serrapeptase and Best High Potency Serrapeptase contains pure serrapeptase designed for optimal absorption in the intestinal tract. can break down inappropriate protein complexes in the mucus, thereby favorably influencing its properties and helping to support the healthy balance between adequate mucous viscosity/elasticity and airway comfort levels associated with the mucous membranes of the respiratory system. so you know exactly what you're getting. Enzyme strength is measured in terms of activity rather than weight, because an enzyme can be present but unless it is functional it will not be useful. Therefore, an enzyme product label should list the enzyme’s functional activity, and this usually will come from a laboratory measure as standard activity units. 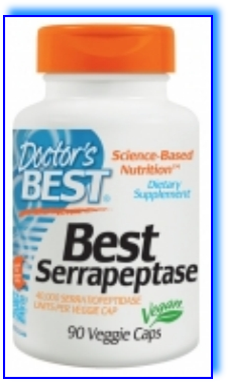 For serrapeptase the best standard measure is “Serratiopeptidase Units” or SPU. vegetarian capsules-either 40,000 or 120,000 SPU. contains a tremendous 120,000 units, its suggested use is only 1 capsule per day. 1.Miyata K, Maejima K, Tomoda K, Isono M. Agr Biol Chem 1970;34:310-318. 4.Majima Y, Hirata K, Takeuchi K, others. Am Rev Respir Dis 1990;141:79-83. 5.Shimura S, Okubo T, Maeda S, others. 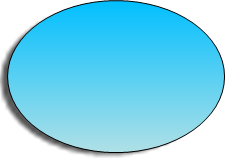 Biorheology 1983;20:677-83. 6.Kase Y, Seo H, Oyama Y, others. Arzneimittelforschung 1982;32:374-8. 7.Mazzone A, Catalani M, Costanzo M, others. J Int Med Res 1990;18:379-88.
used by the worms to digest their cocoons. is a safe and useful supplement to promote favorable viscosity of nasal and bronchial mucus. Two of the earliest human trials found that serrapeptase had favorable effects on upper airway viscosity.3,4 In these assessments, mucus was collected from participants after a 4-week supplementation period and evaluated using an rheometer to determine its viscoelastic properties. The enzyme’s action most likely involves the breakdown of mucus protein structures, consequently allowing the cilia (microscopic hairlike projections in the mucosal epithelium of the upper respiratory tract) to helpfully transport mucus in the airway.